I am Luísa Lima, a PhD Student from the School of Science of the University of Porto, in Portugal, with the thesis "Secure Network Coding". Originally, this was a wiki meant for noting down the locations of the papers that I read or found interesting. However, as I went along, I thought that maybe others might find this collection / small overview of Secure Network Coding useful. This wiki is mainly oriented towards Security aspects of Network Coding, but there are some sections on theory of Network Coding and practical aspects. 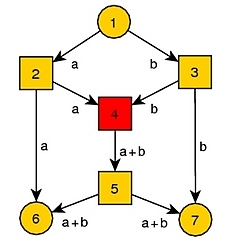 If you are the author of a paper or find something interesting on Network Coding, you are welcome to add it to the wiki.